American Made Bumper and Step Products. 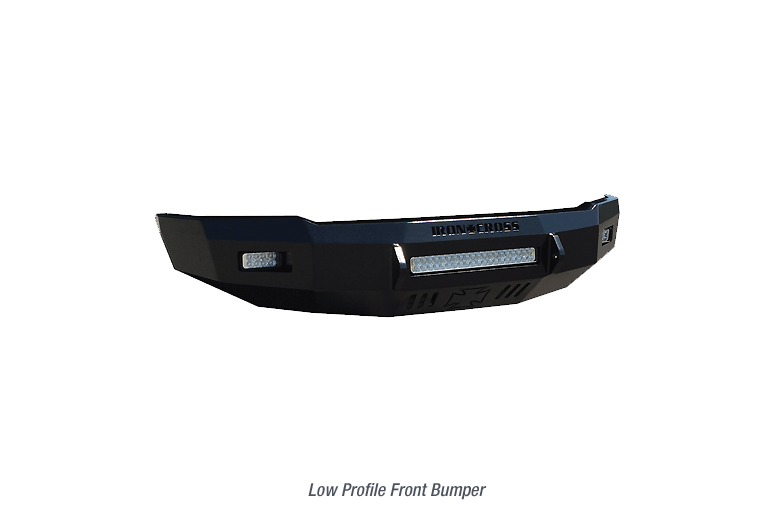 The Iron Cross Automotive 40 Series Low Profile front bumper blends style and function like no other front bumper on the market. This bumper was specifically designed to stick out no further than the OEM bumper. It houses a 20-22 Inch LED light bar in the middle and a set of 6 Inch light bars on the outside. **Lights sold separately. 4942 E. 66th St. N.
© Copyright 2018. Iron Cross Automotive. All Right Reserved.